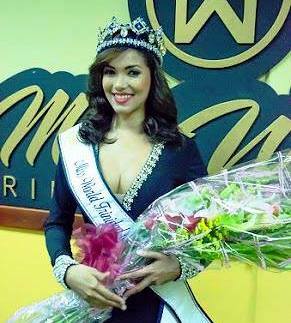 The stunning and beautiful Daniella Walcott is the new Miss World Trinidad and Tobago. She was appointed as Miss World Trinidad and Tobago 2016 at the Cara Suites and Conference Centre. The crowning ceremony was attended by Ms Walcott and her Family, Committee Members of Miss World Trinidad and Tobago, Sponsors and Miss World Trinidad and Tobago 2015 Ms Kimberly Singh.